Reflections on the the Ecotourism NZ 2007 Conference held in Greymouth, New Zealand August 1-3, 2007. The event was hosted by the Tai Poutini Polytechnic. Planeta.com’s Ron Mader was a keynote speaker. 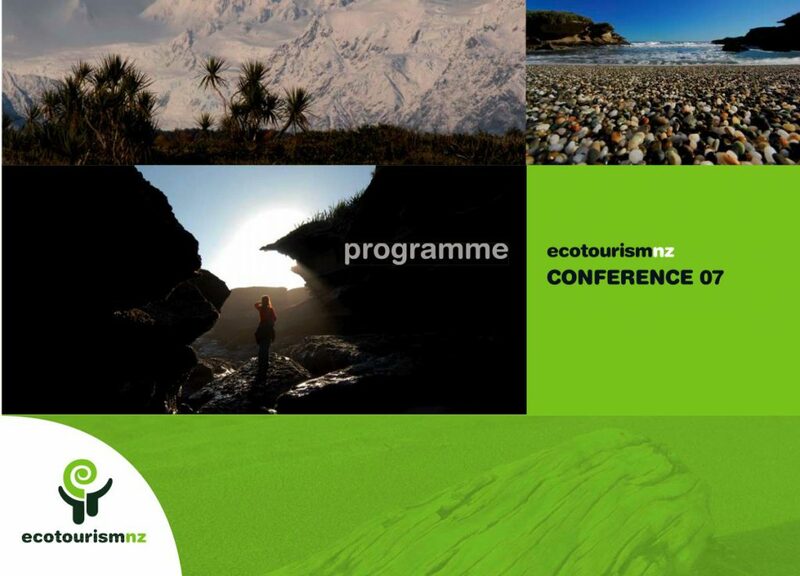 Ron: I would love to hear from people I met at the conference and from fans of tourism and ecotourism in New Zealand. There were some great conversations and we continue to update the relevant resources on Planeta.com. Most visitors to New Zealand indicate strong interest in nature and conservation. New Zealand is taking a loading role in discussing carbon emissions and developing strategies in respect to long haul travel. Visitors who travel a great distance are conscious of why they are traveling and what they are seeking. How will New Zealand officials answer questions about the environmental impact of transportation? As travelers are increasingly concerned about climate change, will this manifest in changing travel plans? 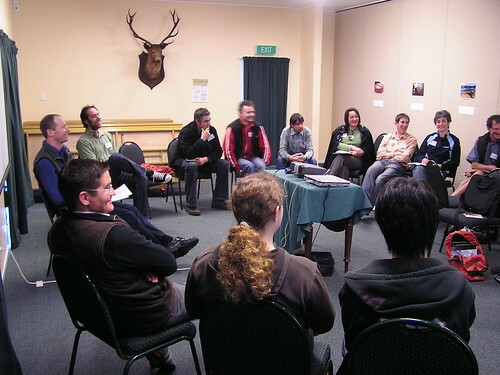 Participants in the Ethical Marketing of Ecotourism Conference and the Ecotourism Certification Workshop emphasized that awards play an important role in establishing a positive reputation for an eco lodge or guide service. Acknowledging best practices in tourism ecotourism may be a practical alternative to expensive certification schemes. Leaders who attempt to work in an ethical and ecological fashion do so not necessarily for the recognition, but appreciate the kudos given by their peers. The changes at hand in tourism are notable. The online booking industry has been transformed with reviews by travelers and by operators and associations using new online tools that revolutionize the way visitors are guided. A challenge for operators lies in understanding the new venues for dialogue and promotion. As veteran trend watcher Steve Bridger points out, much of the action is taking place ‘out there’ in social networks and online communities instead of from your own website. How to best leverage limited resources depends on bridging the online and offline worlds. Challenges for educational institutions will be the incorporation of rating systems that evaluate individual professors and student work. The ‘ethics’ within institutions will be a hot topic. In May 2007 Planeta.com conducted a survey to evaluate the development of ecotourism in the five years since the International Year of Ecotourism. Three dozen respondents have responded. Among the finding: respondents are cynical about the development of ecotourism, believe that indigenous people are not actively included and give low marks to United Nations Environment Programme and World Tourism Organization. These criticisms, Mader argues, should be taken as a roadmap for making immediate corrections that can win over the critics. Also, in connection with our focus on City Environments, Planeta.com hosts city guides to Auckland, Christchurch and Wellington. The West Coast covers a distance of 600 kilometers, with a population of 31,000 and contains 1.9 million hectares of land protected by the Department of Conservation. On the Coast there are five national parks, two Wilderness Areas and a World Heritage Area and there is an outstanding range of natural features including rainforests, glaciers, wetlands and an ocean habitat that is home to the world’s stronghold population of Hector dolphin. In 2007 the Department of Conservation estimated that the conservation area on the West Coast generates $221 million a year within the local economy. In addition about 15% of the West Coast workforce is employed on conservation land. My questions – Is this a factual story? And what sort of expectations should visitors have for the ‘eco’ in New Zealand? I was told at the beginning that the previous event the minister of tourism admitted to not having a definition of ecotourism. This year the minister did not shy away from a definition but opted to focus the presentation (and the country’s tourism policy) on sustainable tourism strategies.